Criminalize Conservatism: There's No Racism In America Anymore! There's No Racism In America Anymore! The Cons just hate being called racists, complaining that liberals are just indulging in some name-calling, because they're certainly not racists. "Fox News Raises Alarm Over College Course About Race." "Fox News is raising alarm bells over an Arizona college course that studies whiteness. "The network’s 'Fox and Friends' show ran a segment Friday titled 'Trouble with Schools,' criticizing an Arizona State University course called 'U.S. Race Theory & the Problem of Whiteness,' portraying it as an attack on white people. The professor of the course, Lee Bebout, is white. 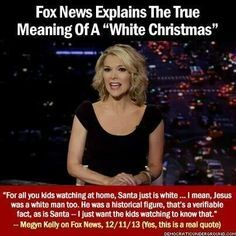 "'Fox and Friends' co-host Elisabeth Hasselbeck, who has not sat in on the course and was unable to reach the professor for comment, referred to it as 'quite unfair, and wrong, and pointed...'"
Some nervy people even call Conservative leaders racists, just because of a few "code words" like "boy..."
"In Racist Speech Sarah Palin Calls Obama An ‘Overgrown Little Boy’ (VIDEO)." "Since Tuesday’s State of the Union Address, Republicans have turned up their usual level of disrespect toward the President to 11. Most notable is Speaker of the House John Boehner going behind the President’s back to invite Israeli Prime Minister Benjamin Netanyahu to speak before Congress. "Sarah Palin, a communications major whose communication skills would make a toddler cringe, piled on the constitutional scholar during the Iowa Freedom Summit by calling him an 'overgrown little boy...'"
After all, the Cons feel the same about racism as they do about sexism! "GOP Flips Off Women And Minorities, Strike 'Civil Rights And Human Rights' From Subcommittee Title." "If Republicans were trying to improve their image among minorities and women, they failed miserably by proclaiming that they don’t give a damn about civil and human rights. "In what appears to be a giant middle finger in the faces of minorities and women, the 'not racist' and 'not sexist' Senate Republicans renamed a key subcommittee by striking 'civil rights and human rights' from the title..."
Some African Americans are Cons, after all -- and if you don't believe it, meet Benjy! 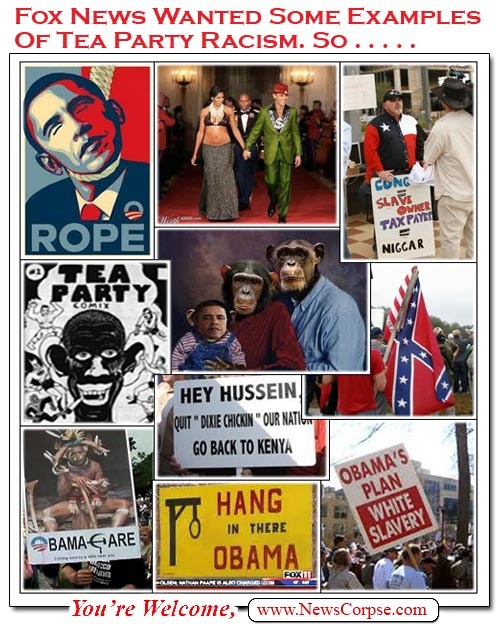 For those who think that the Tea Baggers are bigots, why don't you prove it! We were just yanking on your chain, Conservatism couldn't exist without the racist base. To paraphrase a famous quote, it's true that all Conservatives aren't racists, but all racists are Conservatives. 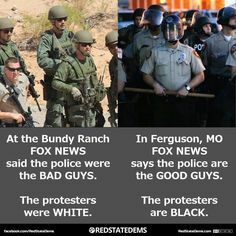 Democracy is all about equality, and if a bunch of white thugs think otherwise, we'd have to brand them as racists. And if these racist Cons are truly anti-American by definition, then we need to criminalize Conservatism. — the cream…. And Kraft comes up with the Or-Bam-eo, the triple double-dipper."